Many of you know my loving wife, Jeanne Chilton. We have been married for 27 years; have two daughters, Christina Palmer and Michelle Allison, seven grandchildren, and two great grandchildren. 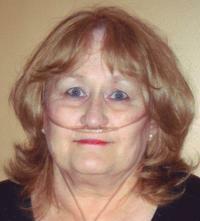 In 2003 she was diagnosed with primary pulmonary hypertension. It has progressed to stage four, and Jeanne’s doctors at the Cleveland Clinic have told us that her only option is a life-saving double lung transplant. Funding this surgery is a monumental task. Even with insurance there are many expenses that must be paid out of pocket. Some of these expenses are copays, deductibles, travel and relocation for at least three months at the time of transplant. In addition, Jeanne will be on a life-time of anti-rejection medications. In order to ease the financial burden, a fundraising campaign in Jeanne’s honor has been established with HelpHOPELive (formerly NTAF), a nonprofit organization that has been assisting the transplant community for nearly 30 years. All donations are tax deductible, are held by HelpHOPELive in the Great Lakes Lung Transplant Fund, and are administered by HelpHOPELive for transplant-related expenses only. If you wish to help Jeanne, then please consider making a contribution.You can also help Jeanne by visiting www.jeannechiltonstore.com and 25% of all your purchases will be donated to HelpHOPELive in her honor. On behalf of Jeanne, myself, and our family, we thank you for your kindness, generosity and support. Thinking of you! All my love and prayers. Hey Jeanne, I love you and miss you, you will make it through this.